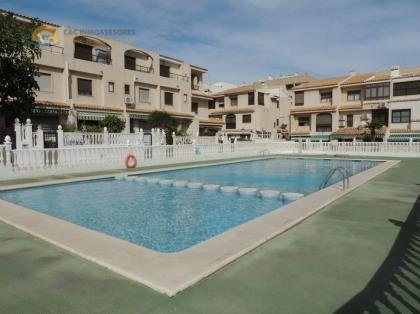 Apartment situated in a quiet residential area with 2 communal pools and gardens about 1200 meters from the nice Moncayo beach in Guardamar del Segura. It is on the first floor of the building and has a large private solarium of about 40 meters. Also it has another 2 terraces (one glazed) to enjoy the wide open views. Private solarium with garden furniture, lounge chair and sun beds. Urbanization well connected to Guardamar del Segura and surrounding towns with regular bus. Special requests, regarding time period etc? Price on request, please contact us.